In 1995, Dr. William Knudson was offered and accepted a position at Hillcrest Health Center in Oklahoma City. A credit to his hard work and dedication, he was appointed as Chief Resident shortly thereafter in 1996. During his two-year tenure with Hillcrest Health Center, Dr. William Knudson completed certification programs in the following areas: Advance Lower Extremity Wound Care, ankle and foot arthroscopy and Internal Fixation specific to foot and ankle surgery. Throughout his lengthy career, Dr. William Knudson has diversified his efforts by studying several different aspects of his chosen specialty, such as reconstruction on the ankle, foot and lower leg. His patients are treated for a variety of ankle and foot issues, including sprains, fractures, callouses and corns. Dr. William Knudson has gained extensive experience in many areas of podiatry over the last 15 years. In particular, he has mastered various techniques in wound healing, sports medicine, reconstructive surgery, trauma and diabetic foot care. Dr. William Knudson is well respected by patients and colleagues alike for his enormous skill in surgical and general podiatric care. Dr. William Knudson now leads the team at Podiatric Care of Northern Virginia, where he continues to enrich the lives of countless patients. Additionally, he has served as a public speaker across the United States, passing along his deep knowledge about the latest technological advances and surgical techniques for the benefit of medical students and residents. A skilled expert in podiatry, Dr. Knudson is well qualified to handle cases that range from bunions or simple heel pain to surgical reconstruction due to severe trauma. Grateful for the opportunities he’s been given, Dr. William Knudson is determined to share his insights and experiences with younger medical professionals. As an independent physician, chief resident and medical education director, Dr. William Knudson has assisted countless newcomers achieve their goal of completing their studies and entering the challenging field of podiatry. He mentors a new generation of ankle and foot care specialists in the Podiatric Residency Program of Inova Fairfax Hospital. Inova Fairfax Hospital is regularly featured among the leading healthcare providers in North America. U.S. News has named the institution as the top hospital in the Washington D.C area. Inova also ranked as “High Performing” in 11 different specialties according to the magazine: geriatrics, cancer, gastroenterology & GI surgery, orthopedics, neurology & neurosurgery, nephrology, cardiology & heart surgery, pulmonology, urology, diabetes & endocrinology and ENT. On a daily basis, Dr. William Knudson appreciates the opportunity to assist people in pain and improve their quality of life. For his intense commitment, Dr. William Knudson has earned numerous honors from his peers. He was appointed as a fellow by the renowned American College of Foot and Ankle Surgeons (ACFS), a 6,000-member organization devoted to excellence in podiatry. 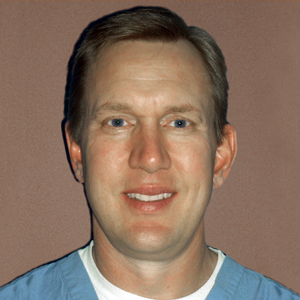 Dr. William Knudson also serves as a Diplomat for the American Board of Podiatric Surgery. The purpose of the American Board of Podiatric Surgery is to improve and protect the welfare and health of the public through advancements in podiatric surgery. Dr. William Knudson and his wife Sarah are proud to call Leesburg, Virginia, home. As the parents of two children, both William and Sarah hope to share their passion for healthy living through a number of family activities. In their spare time, Dr. William Knudson and his family enjoy hunting, fishing and hiking in the outdoors.